Each time someone said “Hey ladies!” the response “She Ready!” erupted from 150 girls in the room. 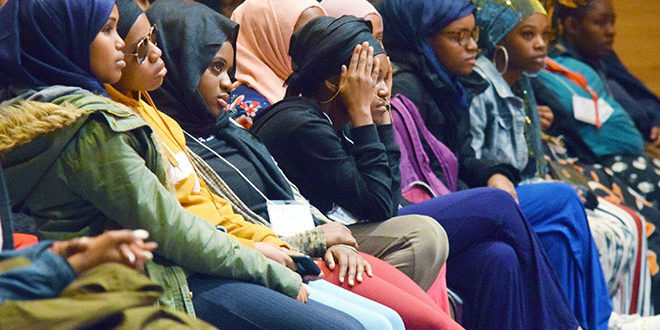 The phrase was meant to teach girls ranging in age from 13 to 18 attending the two-day Sisters Empowering Sisters Conference that they are ready for any challenge. The “Sisters Empowering Sisters: Yesterday, Today…Tomorrow” annual conference this year held March 22 and 23 is dedicated to empowering young black girls from underserved areas by bringing awareness to issues that are known to hold back women of color from becoming successful, says SES Founder Nicole Watkins. Since the conference began 15 years ago, it’s been her goal to speak to young girls about teen pregnancy, HIV/AIDS, self-esteem and relationship violence. 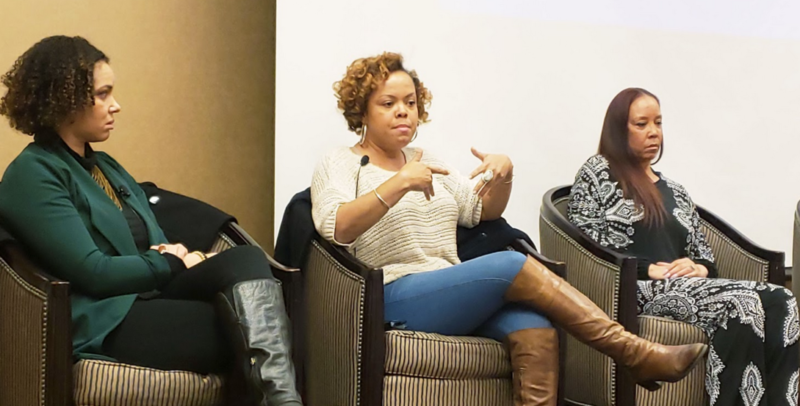 Oronike Odeleye, center, speaks at the 15th Sisters Empowering Sisters conference March 23 alongside Dr. Candice Norcott, left, and Lateasha DeGuzman-Gobr, right, in the Comstock Room at the Sheraton Hotel. Before the keynote panel began Saturday at the Sheraton Hotel, Watkins reminded the girls they need women like Oronike Odeleye, co-founder of the #MuteRKelly movement, and Dr. Candice Norcott, clinical psychologist at the University of Chicago in the Department of Psychiatry and Behavioral Neuroscience, in their lives. “If you don’t have (such mentors) in your life now, this is what you want to aspire to have,” Watkins told the girls in audience. Odeleye spoke to the young girls about how her outrage for her community ignoring abuse of young girls led her to start the #MuteRKelly movement, an effort to stop celebrating Kelly’s music. Her stance stems from the popular music artist’s allegations of sexual impropriety. “I feel like as a black girl who has known a lot of young black girls who were sexually abused, physically abused, emotionally abused and or mentally abused, I had to be the person that was there for them,” she said. Looking at the larger picture, Odeleye emphasized advocacy as an important tool for success. She pointed out that black women make up the largest percentage of educated groups in the country. “When we move ourselves forward, we move our community forward…Every time women advocate for themselves and stand up, we’re helping our community,” she told the crowd of girls. One such woman who paved the way was sitting in that audience. Portia Flowers, the first African-American female to receive a doctorate in biomechanics from the University of Delaware, spoke at the Women in Careers panel. Although she became the first of her kind, she made sure to explain to the young women that she didn’t take pride in the fact. During the panel, Flowers encouraged the girls to explore different career options including STEM. Flowers says she became passionate about biomechanics while watching a special on sports science on ESPN. “I never knew you could research athletes. I never knew you measure the forces produced in a punch, and I never knew you could measure how fast somebody could swim,” she shared. “I didn’t know that was called biomechanics or exercise science, but I knew that was something I wanted to get into. Flowers was with SES when it first began. Now being back for this year’s conference, her impression has changed just a little. “When I came in, they were playing the ‘Wobble’…They were playing music I haven’t even heard about and the girls were getting down. I love the fact that there is a safe space for young women of color to come to and they’re not being judged,” she said. 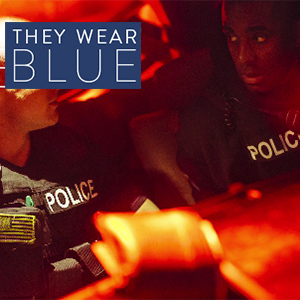 “They’re being treated with respect; they’re being treated as though they have intelligence and that they’re worthy, that they matter, that their feelings matter. Zandra Cunningham speaks about building a career at a young age. From hip-hop dancing during lunch to tap dancing with Chloe and Maud, the girls didn’t hesitate to let their grooves show on the dance floor. Although dancing appeared to be girls’ favorite part, for 17-year-old Shaziah Shorter, the defining moment was the sisters circle at the Room Full of Sisters event. Shorter wasn’t the only one who enjoyed giving others compliments. Friday’s keynote speaker Zandra Cunningham, an 18-year-old entrepreneur, author and philanthropist, repeatedly asked the girls in the audience to turn to one another and let them know they are a queen. Cunningham spoke about how her dad’s ‘no’ to buying her lip balm allowed her to find her million dollar company, Zandra Beauty at 9 years old.